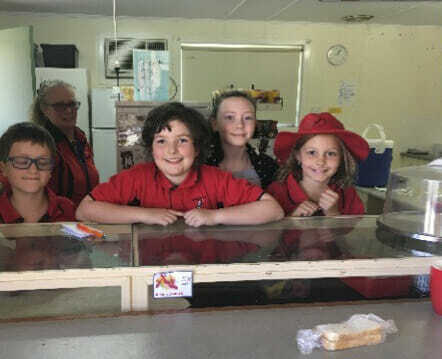 Cambrai Middle Primary school, South Australia, held lemonade stands to help raise funds for the critically endangered orangutan. Katherine deRavin, teacher at Cambrai Middle Primary school has been in contact with Daniel and William for quite a while and been an avid supporter of the boys efforts to help save the orangutan of Borneo and Sumatra. Using the ‘Project Based Learning’ teaching method in which students gain knowledge and skills by working for an extended period of time investing and responding to a real life situation involving many curriculum areas, Ms deRavin encouraged the children to hold a lemonade stand to help save the critically endangered orangutan. 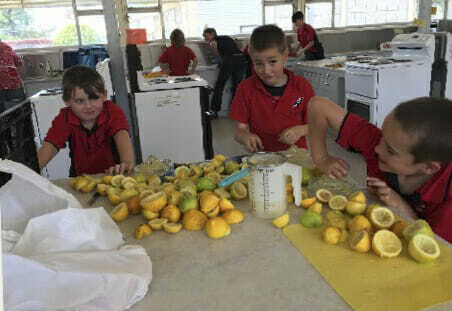 They costed out the lemons (so they didn’t make a loss – quite entrepreneurial) and ran the stand every Tuesday and analysed the results to make sure the children understood the basic mechanics of running a business in the real world – Great Education !!! 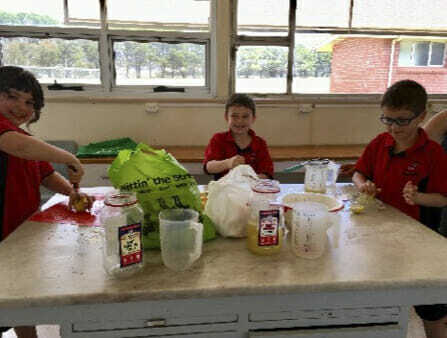 Not only did the children love it but they raised $216.60 to help save the critically endangered orangutan. Well done kids, you are AMAZING !!! Daniel and William send their personal thanks in your efforts to help save the orangutan.